The melodrama genre (or mood, or style, or worldview) as a concept has much to offer. Whether on TV, at the theater, in the novel, or at the movies, melodrama is capable of articulating personal stories with broader social issues. 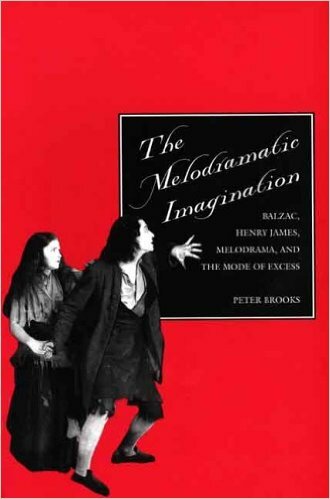 Brooks traces the history of the melodramatic imagination to its roots around the time of the French Revolution, and he outlines how its typical preoccupations probe deep anxieties about the moral universe today. This book can completely transform your understanding of popular culture.